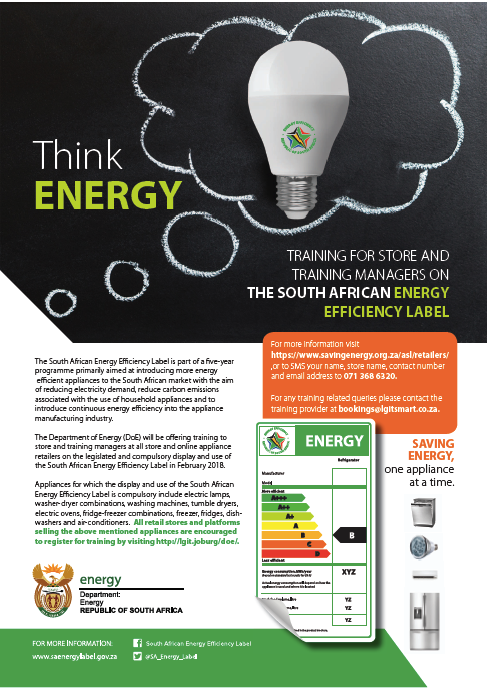 In 2017, the Department of Energy worked with training professionals to create a programme to empower retail consultants selling household appliances on how to display, communicate and use the South African Energy Efficiency Label. In early 2018, this training was rolled out nationally to all retailers following an advertising and public relations campaign and direct marketing to retail groups. The training is important as appliance sales consultants are required to know and explain to customers the importance and benefits of buying more energy efficient appliances as part of their sales pitch. In addition, retail online platforms are required to make customers aware of the importance of buying energy efficient appliances as part of the online user experience. 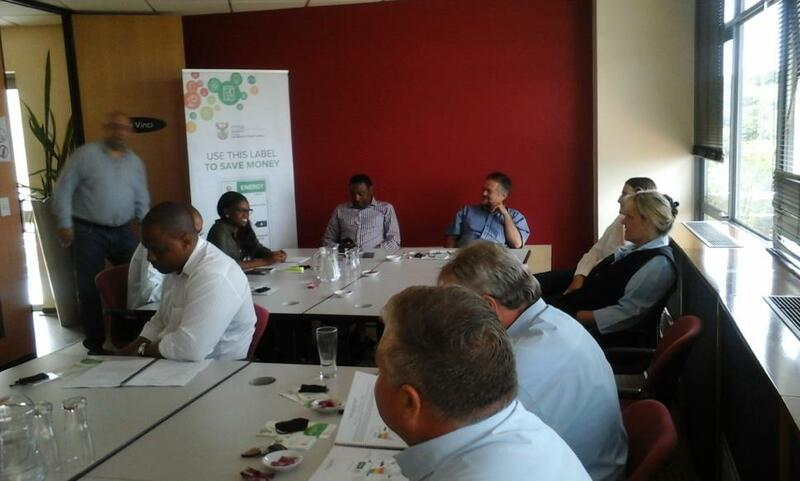 The training programme was implemented with funding from the Global Environment Facility (GEF). The United Nations Development programme (UNDP) is responsible for administering the funds on GEF’s behalf. A certificate of completion of the training for appliance sales staff which requires a 70% pass rate. This will only be provided by the accredited trainer on completion of the course. An average of 4 to 5 hours is required to go through all elements of the training. Background to Energy Efficiency in South Africa – This module unpacks why standards and labelling were introduced globally and in South Africa for appliances and gives context to the programme. All about the label – The second module unpacks every element of the South African Energy Efficiency Label, from the design, to the information it contains, how to correctly display labels on the shop floor and online, and how determine if the label is legal. Selling using the label – The final module includes information on how sales consultants can use the label to sell more effectively to customers to ensure they are buying the most energy efficient appliance for their needs and budget. During February 2017, a series of free workshops were offered to all retailers nationally to accredit trainers for the SA Energy Efficiency Label. 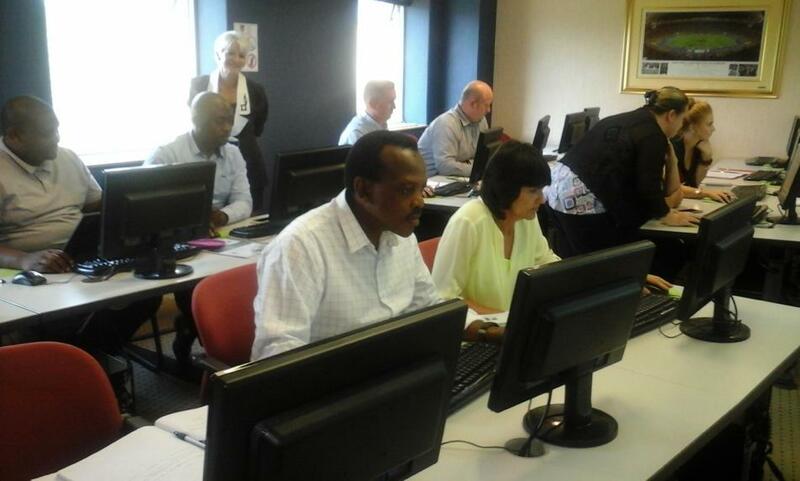 In total 70 trainers went through the programme from the South African retail sector and a further 20 people from the Department of Energy, National Regulator for Compulsory Standards (NRCS) and the Consumer Goods Council of South Africa (CGCSA) were accredited as trainers for the programme. If you are in one of these groups, please contact your training department for information. If you are not part of a retail group and require training, please contact the Consumer Goods Council of South Africa who has been accredited to share this training on info@cgcsa.co.za.